Arrival at San José airport (flight not included in package). Private transfer to your hotel. Breakfast at the hotel and beginning of your ecotour. Your rental car (4x4, Daihatsu Bego, manual shift) will be delivered at 8am. Departure for Irazu Volcano, a National Park on 2’300 hectares. 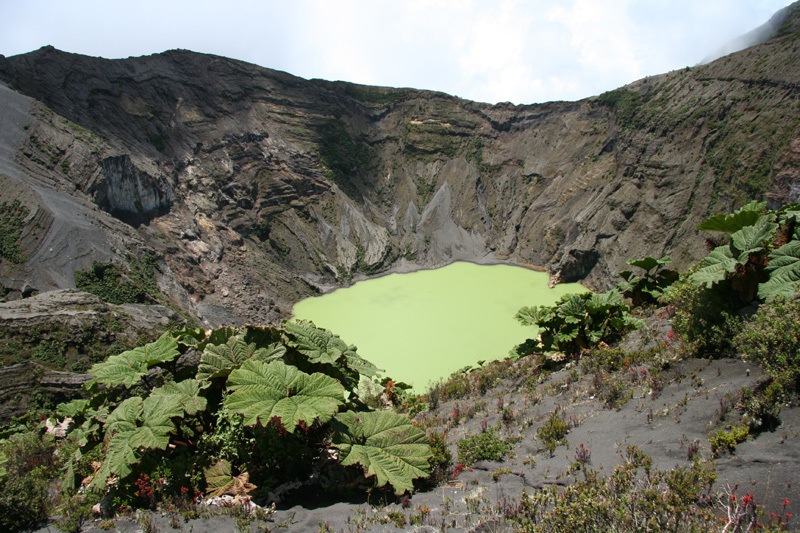 Irazu is Costa Rica’s highest active volcano (alt: 3’432 m) and accessible by car. On a clear day with good weather it’s possible to see both the Pacific (to the West) and the Caribbean Sea (to the East). Continuation with a short stopover in Cartago (the former capital of Costa Rica), with an optional visit of the famous Basilica de los Angeles with its wood-covered interior. Visit the Tapanti National Park: the remote Macizo de la Muerte lies on the northeast face of the Cordillera de Talamanca, which ranges between 700m and 3491m above sea level. Due to high rainfall there is an exceptional vegetation. There are three well-marked trails, of which one leads to a pretty waterfall beside the Orosi river. 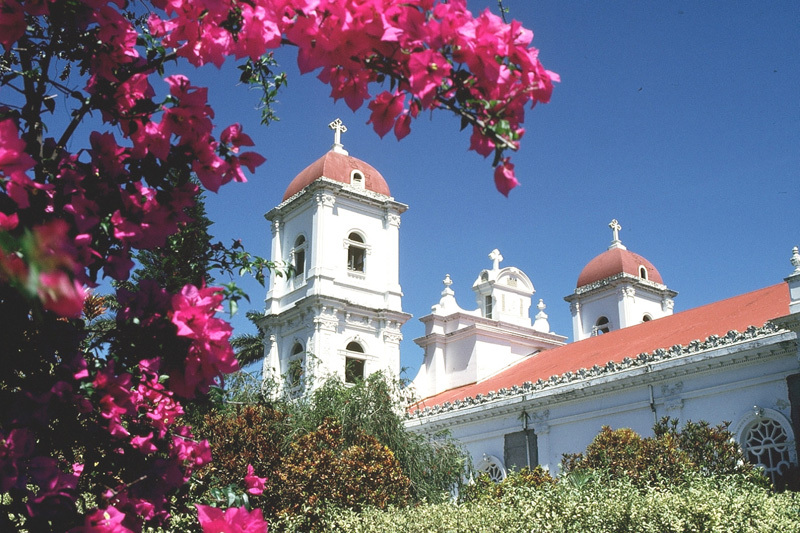 Visit Ujarras, famous for the charming remains of Costa Rica’s oldest colonial church. Drive around the beautiful lake from Ujarras to Cachi. Our lunch suggestion: La Casona del Cafetal (right at the lake, off Cachi). Continuation over a beautiful mountain road towards the rugged landscapes of the Cerro de la Muerte. Arrival at San Gerardo de Dota. Breakfast at the lodge. San Gerardo is one of the country’s best places to spot a variety of plants and birds, including toucans, green woodpeckers, trogons... and of course the famous Resplendent Quetzal, the mythical bird whose feathers Mayas used to decorate their headdresses. 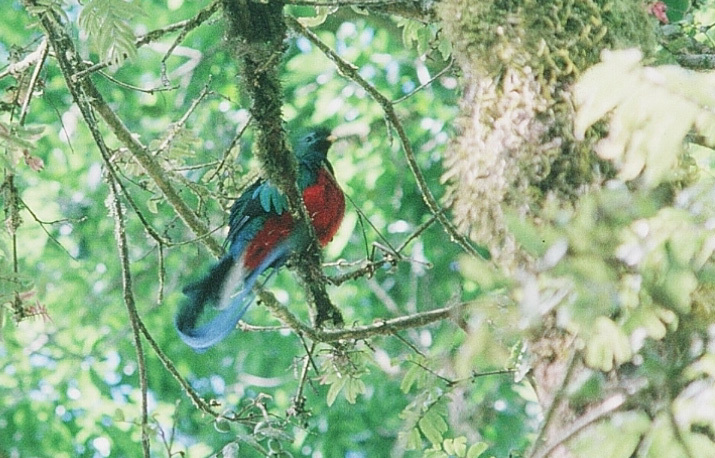 January to June is the best time to see the quetzal – in this season the male bird grows magnificent long tail feathers in beautiful blue-green colors. Departure via San Isidro del General on a curvy mountain road with a spectacular Alpine scenery. Descend from the mountains to Dominical, a small beach resort in an otherwise remote and wild corner of the coast. Suggestion: Visit the nearby nature reserve of Hacienda Baru. Among other activities, the Hacienda Baru offers the “Flight of the Toucan”, a sort of canopy tour on a zip-line that allows you to discover the forest vegetation from above. If you prefer, you can visit the Hacienda’s nature reserve on a path of 7 km. This private reserve is situated along a beautiful beach at the mouth of the Rio Baru, and is a great place to observe some 310 species of birds, as well as an exceptional variety of plants pre-Columbian petroglyphs. 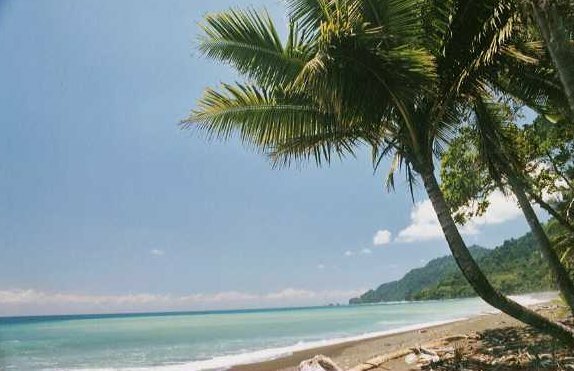 Today you will dip into the tropical natural wonders of Corcovado National Park. The tour operator will pick you up at Hacienda Baru to take you to the docks of Sierpe (approx. 1h30)., where you embark on a boat that takes you over the River Sierpe to the park entrance at San Pedrillo. The boat trip takes about 1.5 h: the first section of the canals leads through vast mangrove forests and the second part over the Pacific Sea. From San Pedrillo you start walking in the forest and along the beaches of the park, with a river crossing. Corcovado is one of the last untouched zones of wilderness in Costa Rica and has many kilometers of trails through intact nature. The wildlife includes jaguars, tapirs, plenty of toucans and macaws, crocodiles and more. Return trip by boat, with some stops in the mangrove forest to watch the wildlife: snakes, monkeys, bats, crocodiles and more animals are waiting for you. With some luck (depending on the season) you should be able to spot whales, dolphins and turtles while crossing the ocean! At Sierpe you will be picked up by a minibus that leads you back to your lodge. Breakfast at the Hacienda. Departure for a visit of Manuel Antonio National Park. Manuel Antonio is one of the most visited parks in the country for its many varieties of corals, shellfish, fish and birds as well as 109 species of mammals, including monkeys, sloths, iguanas and deer. The park lies on a peninsula and offers beautiful landscapes to watch the wildlife, relax at the beach and swim in the ocean. We advise you to arrive there as early as possible in the morning (less people – more wildlife). Continuation via Quepos, an important port to ship palmoil. Stop over at the Playa Isla Palo Seco, an area with yet little tourist impact. The beach is very nice but quite dangerous for swimming. There is the opportunity to make a trip on the mangrove channel or relax and enjoy the swimming pool of your friendly hotel. At Punta Leona you can visit Carara Biological Reserve. The park is situated in a transition zone between the South Pacific (wetlands) and the (dry) North Pacific zone: its 4 700 hectares of rainforest are home to an abundant fauna, including Ara parrots (“lapas rojas”), herons, toucans, white face monkeys, crocodiles. Before or after Carara we suggest you take a boat tour on Rio Tarcoles. An impressive variety of the largest crocodiles in Costa Rica lives in this river, surrounded by mangrove trees and many birds. This is one of the rare opportunities to get a close glance of these reptiles! Visit Neo Fauna, 3 km north of Jaco, a garden with frogs, a snake vivarium and a butterfly house. Continuation to Playa Samara, where your hotel is. Breakfast at the hotel. Day at your disposal to enjoy the beach for swimming, snorkeling or fishing. Samara is one of Costa Rica’s safest beaches to swim. There is a nice reef and a multitude of activity possibilities, such as surfing, diving excursions, fishing, sea kayaking, dolphin tours, horseback rides, etc. Breakfast at the hotel. Departure to Rincon de la Vieja National Park. Rincon National Park stretches on an area of 14’000 hectares and is home to the active Rincon de la Vieja Volcano (1916 m) and the highest density of orchid species in the country (including the famous Guaranthea skinneri – also known as “Guaria morada”, Costa Rica’s National Flower. Of course, there is also a variety of wildlife and interesting geothermal activities (mini geysers, hot springs, steam releases). Hike to the summit of Rincon de la Vieja: Expect around 8 hours for ascent and return on a steep and rocky ground. Inquire with the forest rangers before doing this hike. Carry appropriate equipment with you: good walking shoes, warm clothes, sunscreen and sufficient water. 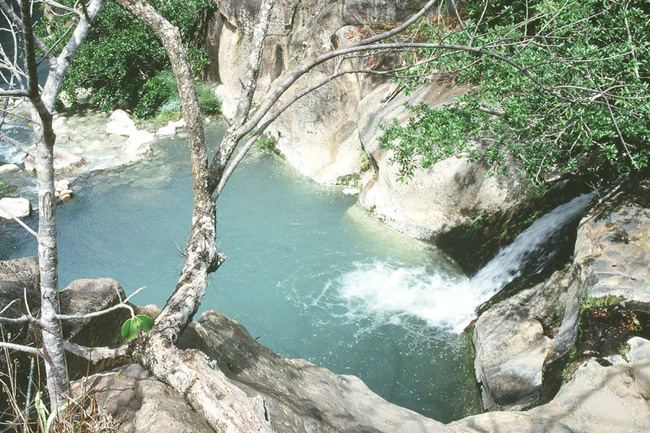 Another possibility is a 10 kilometer morning hike to the Cangrejo waterfalls. This tour is less inclined and easier to do. In the afternoon you can top this with a small excursion to Las Pailas (3 km). At Canyon de la Vieja Lodge you have the opportunity to do the “Canyon Canopy Tour” over the Rio Colorado. This tour is similar to the "original canopy tour" and particularly attractive. Accompanied by experienced guides you move from platform to platform on zip-lines, from one river bank to the other: excitement guaranteed! Also, you can descend the river on a kayak tour and pass river rapids, tranquil ponds, a waterfall and more. Swimming is possible. Breakfast at the hotel. Departure to La Carolina Lodge. Option: Visit Las Pumas, an orphanage for animals (pumas, jaguars, ocelots, monkeys). Just around the corner is a great place for lunch: the 'Hacienda Pacifica, which serves food in a rustic chic. When you arrive at La Carolina, relax and enjoy the “home-made” Jacuzzi of the lodge or do a small hik e around the lodge. If you desire, you can spend the afternoon on a horseback. The guided tour to the Rio Celeste is included in the package price. Breakfast at the lodge. The guide will accompany you in your car to Tenorio National Park and the beautiful Rio Celeste. It’s about a 3 hour walk to get to Rio Celeste. Swimming is possible on some spots along the river and its natural pools. The turquoise blue waters are produced by a chemical reaction caused by gases escaping from the ground. Many birds and amphibians live among the beautiful vegetation and lately, the tapir population has been recovering well. Back to the lodge for lunch. Take the road to Arenal volcano via Nuevo Arenal to the lush valley of San Carlos where you will be greeted by the majestic silhouette of Arenal Volcano (1600 m). Arenal is one of the world’s most active volcanoes and is perfectly cone-shaped. It takes a bit of luck and a clear day to see the entire volcano. Nighttime is best to observe the lava streams trickling down its slopes. 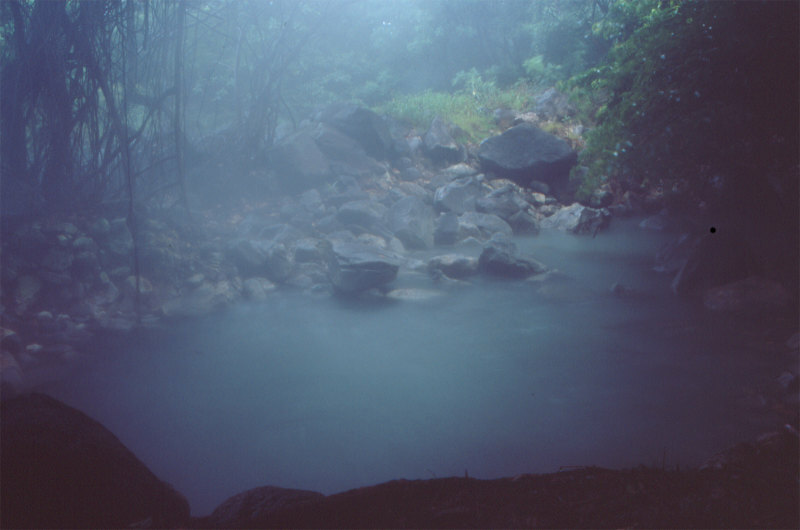 In the afternoon/evening you can relax at one of Arenal’s thermal springs: Titokú, Baldi. Ecothermales and Tabacón. Watch the volcano’s lava streams at night. Zip-line canopy tours with Sky Adventures, Sky Tram and Sky Trek (from 8am). A tour of the Arenal National Park (approx. 1.5 to 2 hours) on the petrified lava fields. The path is easily accessible and rather flat, except for the most interesting parts, where you will climb volcanic rocks on a stretch of about 200-300 meters. From the high rocks you will clearly see the volcano and the lava fields. A lovely path to watch the flora and fauna winds between 3km of rainforest and offers beautiful outlooks on the Arenal volcano. On the route there are 8 fixed bridges and 6 suspension bridges ranging from 48m to 98m length. The bridges are perfectly safe, built over canyons, offering you some extraordinary views on the canopy. 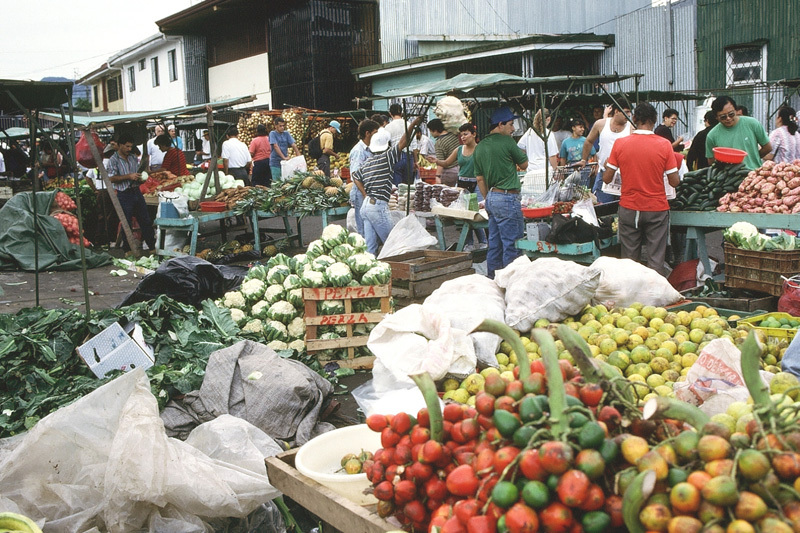 Visit the Ecocentro Danaus, 2 kilometers from the center of La Fortuna. The Ecocentro offers a botanical garden, a collection of butterflies, frogs and snakes, gardens, trees and a museum with indigenous Maleku art. Walk around Lake Arenal and hike to the La Fortuna waterfall. 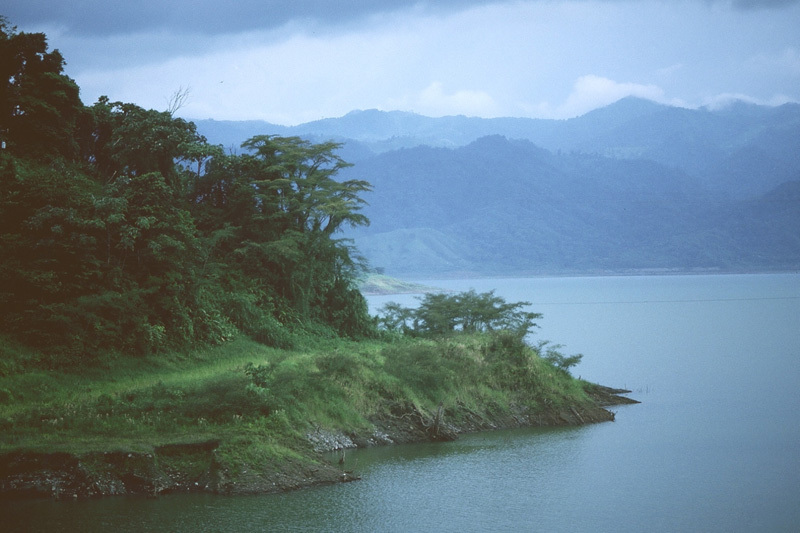 On Lake Arenal you can fish, windsurf, kayak or kite-surf. Also, there are ATV and Quad bike rentals available. One of the best things about the Arenal area are its hot springs! Spend the afternoon and evening at one of the numerous hot springs (most are open until 10pm). Ask us for more information about which thermal springs will suit you best. Breakfast at the hotel. Departure to the “little villages” of Grecia (with its curious church), Sarchi – which is known for its handicrafts, particularly the hand painted ox-carts (one of Costa Rica’s national symbols) – and Naranjo (with a pretty colonial church). Departure to the Poás Volcano. The volcano (altitude: 2’700m) is accessible by car and known to have the world’s largest crater (1.5 km in diameter and 300 m depth). There are many volcanic activities, active fumaroles and eruptions of various geysers. The highest water jet can rise up to 100 meters. The latest major eruption took place on 13 January 2009 and reached a height of 200 meters. 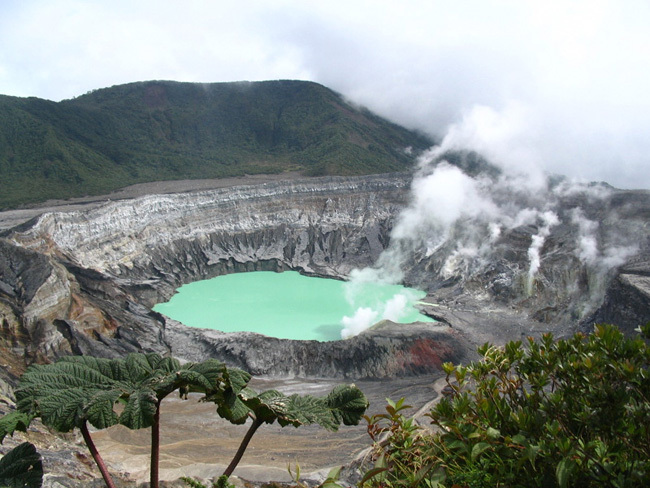 Poas volcano is approximately 1 hour drive from your hotel. Expect about 1 hour to visit the crater. If you plan to hike a around the Botos Lagoon, reckon with about 2 hours. From the volcano to the airport it’s only an hour's drive. We guarantee or the same retail prices for hotels, rental cars and activities as direct suppliers. As we only cooperate with approved and reliable partners, the quality of hotels is assured. We assist you in planning, booking and provide English-speaking travel assistance around-the-clock.